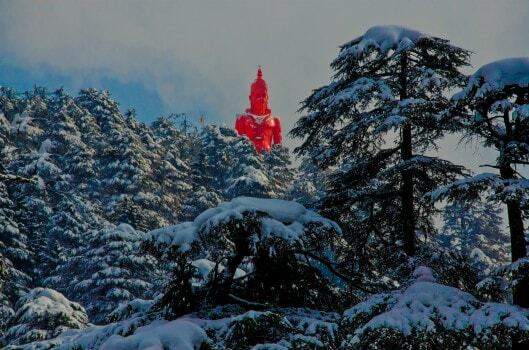 Himachal sees a good amount of snowfall in the months of December, January and February in many towns of Himachal. Manali, Nakansa, Kufri, and Shimla get covered under a thick blanket of snow and Rohtang and Keylong remains frozen almost all through the year. Along with adoring heavy snowfall, visitors can also indulge in exciting adventure sports such as snow skiing and heli-skiing. A cliche if you will – but often laced with snow – the year opens with a heady cocktail. Thousands of revelers head to celebrate the new year in Shimla, Chail, Solan, Manali, Kullu, Dharamshala, Dalhousie, and Chamba. Around New year comes Halda in Lahaul, which is a more private celebration of the event. 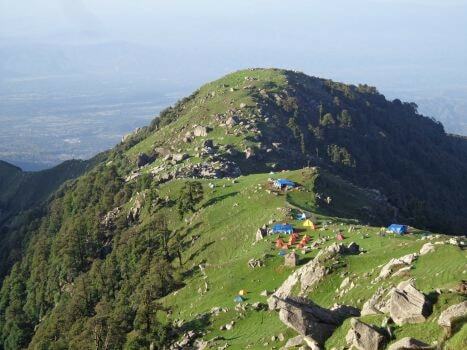 This is a hill station lying on the spur of the Dhauladhar range about 17 Km north- east of Kangra town. This hill station is wooded with oak and conifer trees and snow capped mountains enfold three sides of the town while the valley stretches in front. The snowline is perhaps more easily accessible at Dharamshala than at any other hill resort and it is possible to make a day’s trek to a snow-point after an early morning’s start. Dharamshala is also the headquarters of the Kangra district. The most charming and beautiful Kullu valley spreads out its charm on either side of river Beas. 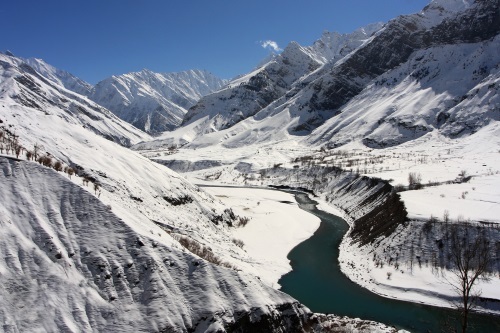 The valley runs north to south of this river and is 80Km long and about 2Km at its broadest. Yet with awe inspiring glens and mossy meadows encircled by the rushing streams and meandering brooks, flung east & west, a fairly wide area is open to the tourists, the trekkers, the mountaineers, the artists and to anyone who wishes to escape the heat & dust of the plains to breathe the exhilarating air of the Himalaya and enjoy the spectacle of the variegated mountain scenery. The valley is also famous for its exquisitely woven colourful hand made shawls and kullu caps. 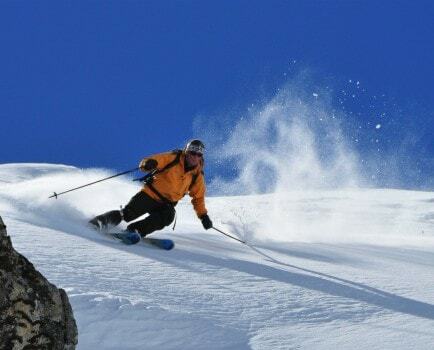 Visit anytime between December to February to enjoy snow-skiing and heli-skiing. On a mid-night towards the end of Paush (December-January), the festival of Phagli begins in Lahaul’s Pattan valley which the locals celebrate by filling inside a conical basket called Kilta. In February, Lahaul celebrates the festival of Lossar marked by ritual dances and an unbelievably rich imagery. This is celebrated in Buddhist areas throughout the state while Lahaul’s monasteries have some of the most spectacular performances. On its eve, the stylized chhaam dance with elaborate costumes and masks, commemorate the assassination of the cruel Tibetan king, Langdarma of the 9th century. Often – though wrongly – called ‘the devil dance’, it symbolizes the triumph of good over evil. The winter winds carry the delights of ice-skating at Shimla. The winter winds carry the delights of ice-skating at Shimla. The extravaganza of the Ice-Skating Carnival is normally reserved for December. Christmas celebrations overtake Shimla and Dalhousie (Chamba) and as the church bells chime, they carry away another event-packed year. To visit the traditional fairs or to participate in the festivals, do confirm the dates as may vary from year to year. A range of accommodation is available at, or close to almost all the places. Gochi in the Bhaga Valley is an unusual festival when the villagers celebrate the birth of male children. Token marriages of children below the age of six are also performed – comes when children throw snowballs at each other. Baba Barbhag Singh Mela is held in Una to honour the sage who was renowned for his magical powers. In the month of February, Basant Panchmi marks the arrival of spring in the lower areas, and every town seems to keep a reserve of color for the occasion and the skies are filled with a medley of kites.